And so pink it was. Of course, Jane had no idea what she was choosing in pink. But it most certainly is pink. 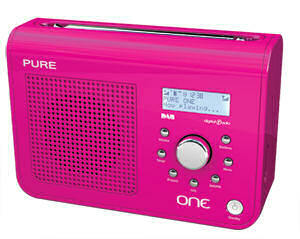 If I couldn’t get my pink jumper then I’ll just have to make do with a pink DAB radio. I’ve been wanting a DAB radio for ages. 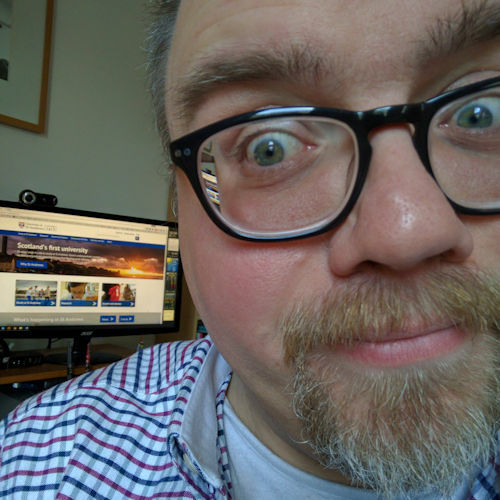 Digital Audio Broadcasting is clearly the way forward: it has a better, clearer and cleaner sound than good old fashioned FM Stereo, and it offers oodles more channels, serving up unforgiving quantities of pure, unadulterated ROCK music! My brother Eddie and I used to play a game when we both had Telewest cable TV. We’d tune into Planet Rock radio and see just how long it was until they played yet another Pink Floyd track. It was never too long. Not that we were complaining. I’m listening to Planet Rock as I write this, as it happens. We’re currently listening to Neil Young with “Southern Man”. The antithesis of Lynyrd Skynyd’s classic track “Sweet Home Alabama”. STOP PRESS: The presenter has just said that he’s about to play “Sheep” by Pink Floyd!! Having been investigating a number of DAB radios, I finally came to the conclusion that I wanted to get a Pure DAB radio. That is a DAB radio made by the company Pure. They consitently scored well in the What Hi-Fi? magazine polls. The only problem is that Pure DAB radios are quite expensive. The Evoke range are priced between around £89 and £199. I definitely wanted one that could run on batteries as well as from the mains. I wanted something that had the option of a stereo output, even if it had only one speaker, and it also had to still be able to receive FM too. If for no other reason than Jane could use it with her iTrip, if iWorld ever get around to sending her the correct one for her birthday (we ordered black, they sent white). Hey, I was listening to Planet Rock on my wonderful Pure “The Bug” Digital Radio when Sheep by Pink Floyd played tonight. We’re still doing that synchronicity thing. And while it is never long between Floyd songs on Planet Rock (as you say, a good thing), I have noticed a worryingly high frequency of “Roll over lay down” by the Quo on that radio station of late. Shudder. Previous Previous post: Viva Chris Moyles!